Kira Klapper anchors Today in the Bay: weekend edition on Saturday and Sunday mornings. She also reports for Today in the Bay on Fridays. Kira has worked as a journalist for more than 10 years. Prior to joining NBC Bay Area in 2014, Kira was a reporter and substitute anchor at KGO-TV ABC7 in San Francisco. While there, she reported on daily breaking news stories as well as in-depth reports. She covered stories ranging from the Asiana Airlines crash to the historic opening of thenew eastern span of the Bay Bridge. 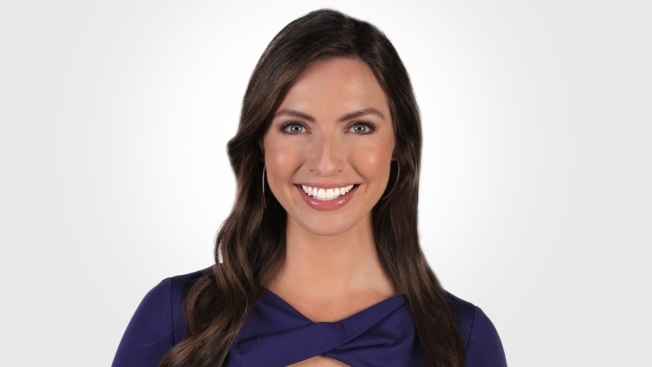 Prior to arriving in the Bay Area, Kira spent two years anchoring the evening news for the CBS & NBC stations in the Chico – Redding region of Northern California. Kira also spent two years as a reporter, substitute anchor, and fill-in weather anchor for the FOX and CBS affiliates in Santa Barbara and San Luis Obispo counties. The Los Angeles native is a proud graduate of Boston University. She began her on-air career in Mankato, Minnesota, where she worked as a “one man band” -- shooting and editing her own video and writing daily reports. Kira also produced and anchored the weekend newscasts. In her spare time, you can find Kira chasing after her toddler son, going to concerts, and traveling with her family. For nearly 15 years, Kira has supported and encouraged women’s heart health through the Go Red for Women initiative. She also spends her time volunteering and encouraging people to adopt shelter pets. You can follow Kira on Twitter @kiraklapper and Instagram @kiraklapper.